We were selected by Hailo, a rapidly expanding mobile App start-up, to design their new head office in London. 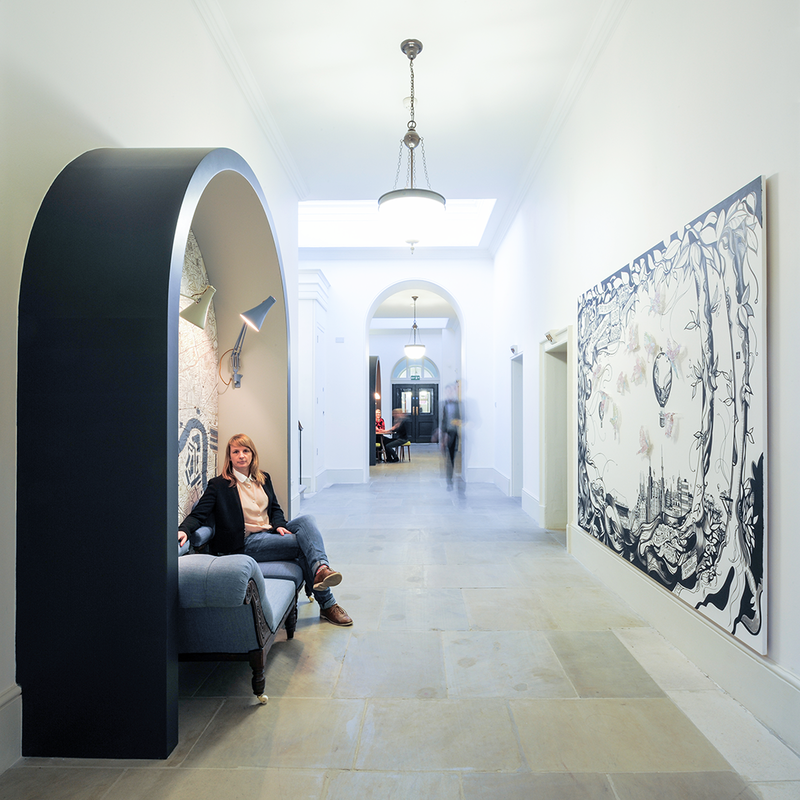 The design combines the historic setting of Somerset House with a sense of contemporary London, as a hub for style, culture and art through the reinterpretation of daily objects and collaboration with local artists and the use of locally sourced furniture. Reflecting on the ideal working environment of today the design provides a versatile and nearly domestic office environment in a historic space. 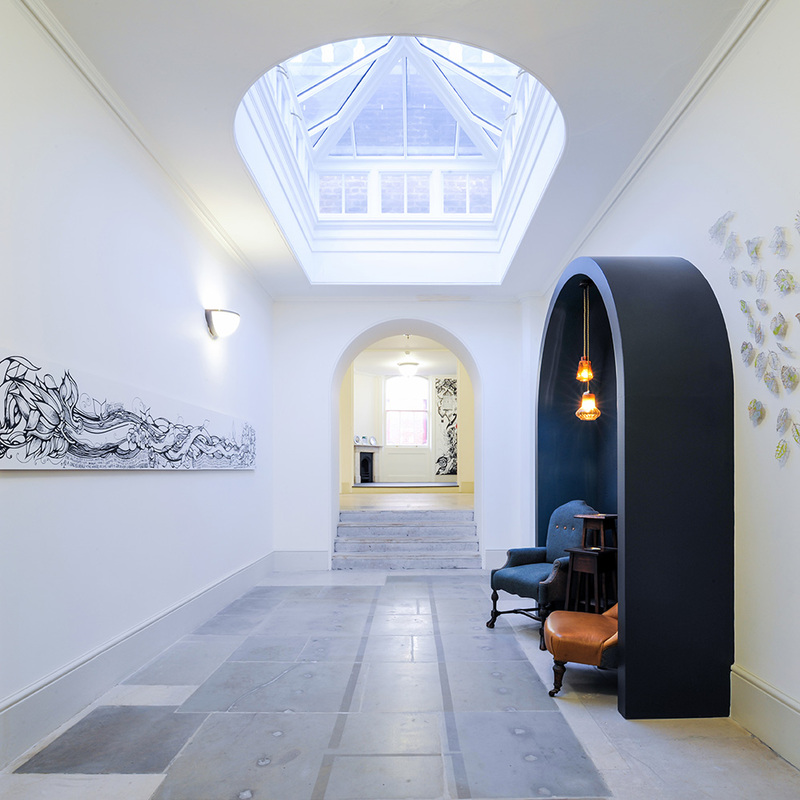 In order to enhance the communication and the movement across the floor plate, the corridor becomes the central space by the insertion of five bespoke arches. 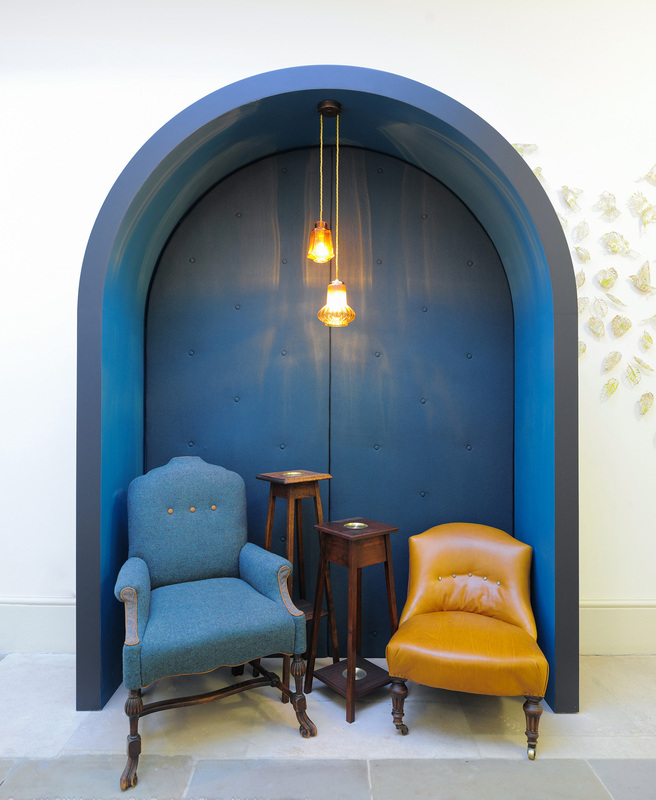 In contrast to the formal meeting rooms, the arches are designed as informal break-out spaces. 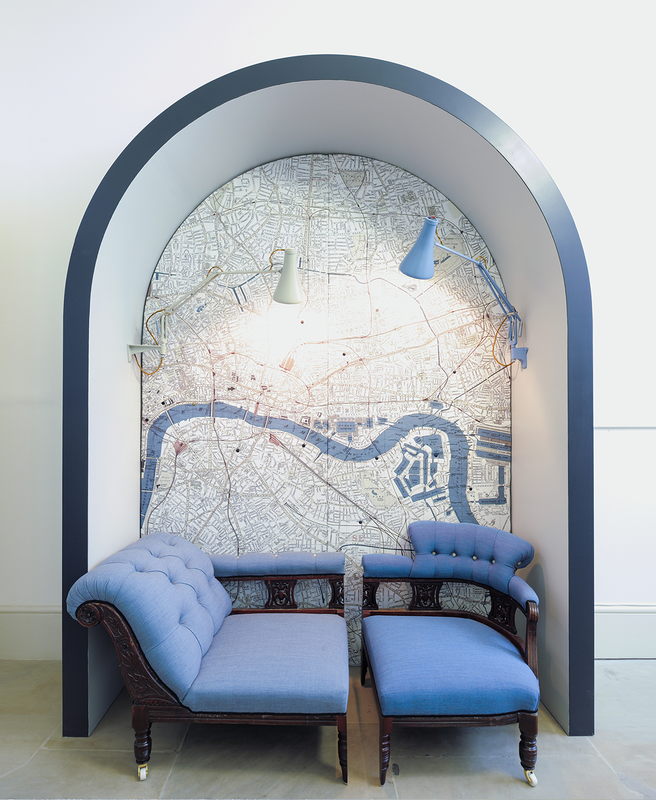 They are fitted out by Hannah Stanton, a London based designer and sit alongside the works of Vic Lee, who created six murals of varying sizes picking up on themes around travel, cabs, London and freedom. 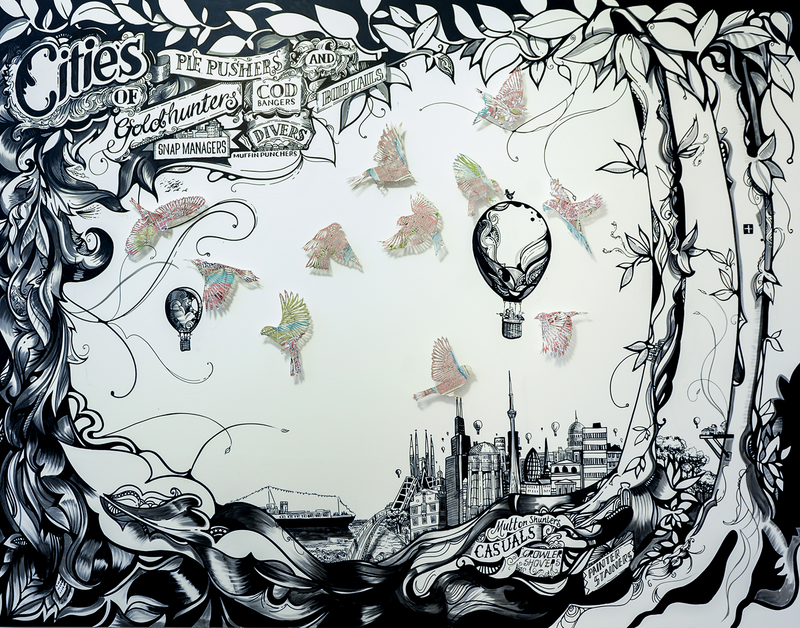 In addition to Artist Claire Brewster, who creates bird sculptures from historical maps complementing the installation.